LogWare III is a client/server application that can be used enterprise-wide for environmental data logging and monitoring. 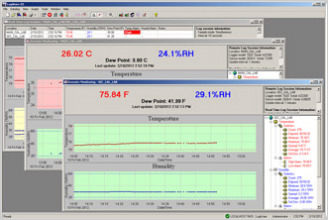 It records, retrieves, and analyzes temperature and relative humidity data. LogWare III can be installed in either a client/server, multi-user environment or on a single PC as a stand-alone system.